You can view your search history inside of Scoutify by tapping on the clock icon located second from the left at the bottom of the application. 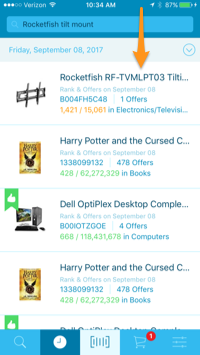 The items viewed again through Search History will not show the Restrictions button again. 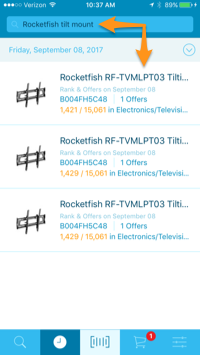 If you need this, you can search the items from the main search screen or check the Amazon Restrictions link.